Morgan McPheeters - One of Texas' Newest Attorneys! 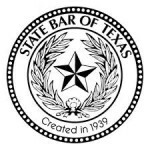 Morgan McPheeters – One of Texas’ Newest Attorneys! KD&P is pleased to announce that Morgan McPheeters passed the Texas Bar Exam! Morgan is now licensed to practice law in Texas and New Mexico. Congratulations Morgan!